The Gilded Spruce in Vail, Colorado has handcrafted Christmas decorations available in the store and to order over the phone. 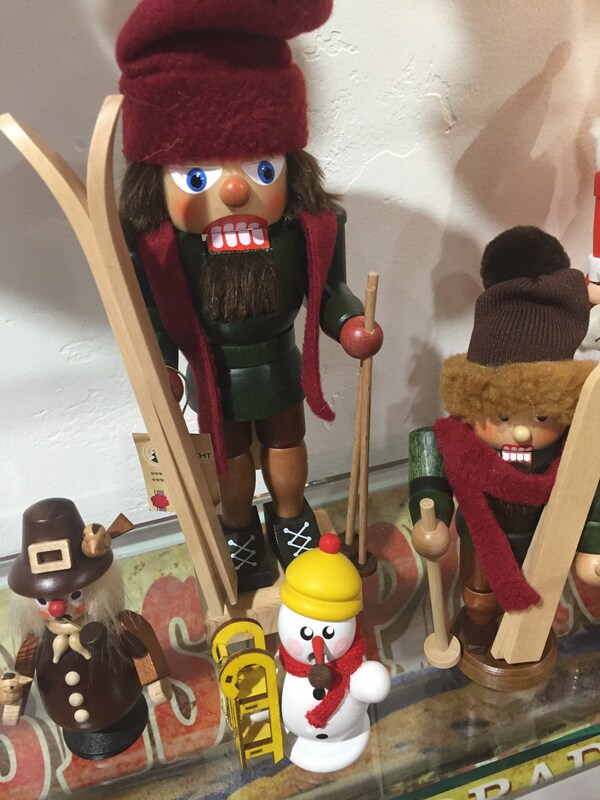 We have a selection from the United States and a collection of handcrafted items from Germany. In the image below you will see the Christmas house and country store with Vail 2018 engraved on it. 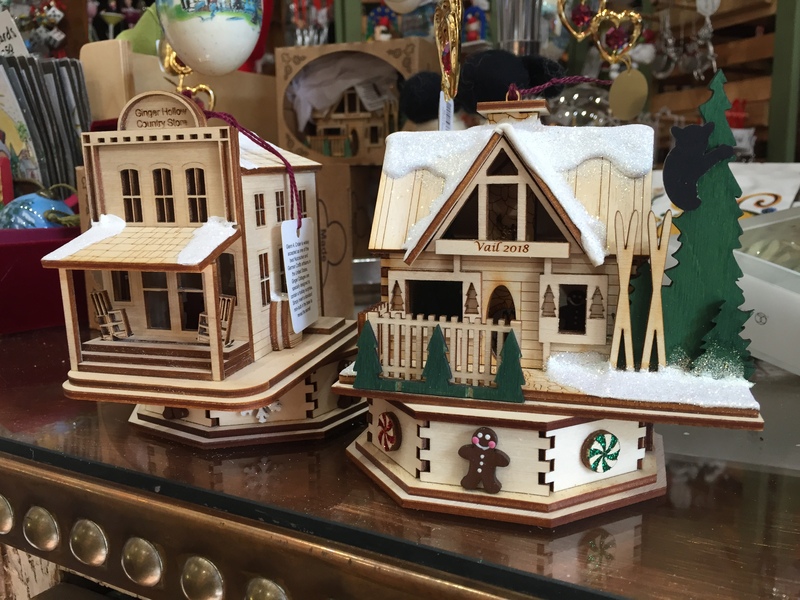 Some of these handcrafted items light up making the perfect addition to your holiday village with a little flair. If you peer into the windows, you are transported back to childhood when your imagination wandered as you looked into your dollhouse. The details inside are incredible, so it’s easy for the imagination to go wild and a whole new world opens up! Most of these items are one of a kind. If you see something you like on the website, call immediately since we have limited inventory. Some of our most popular items are imported from Germany, but won’t take much time to ship to you if you are in the United States. The German handcrafted items are amazing with the color choice and the tiny pieces put together to create a life-size dimensional image. 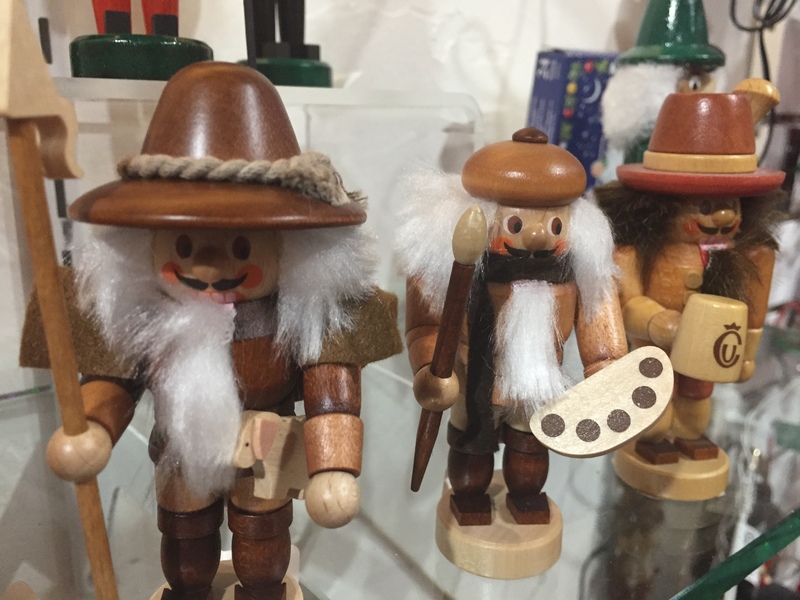 The German handcrafted items include Nutcrackers and winter smokers. When I say Smokers I mean, you can drop in some pine incense in the back and the smoke will come out the mouth. It’s cool and kinda funny! If you see anything you like please call us because they sell out fast! 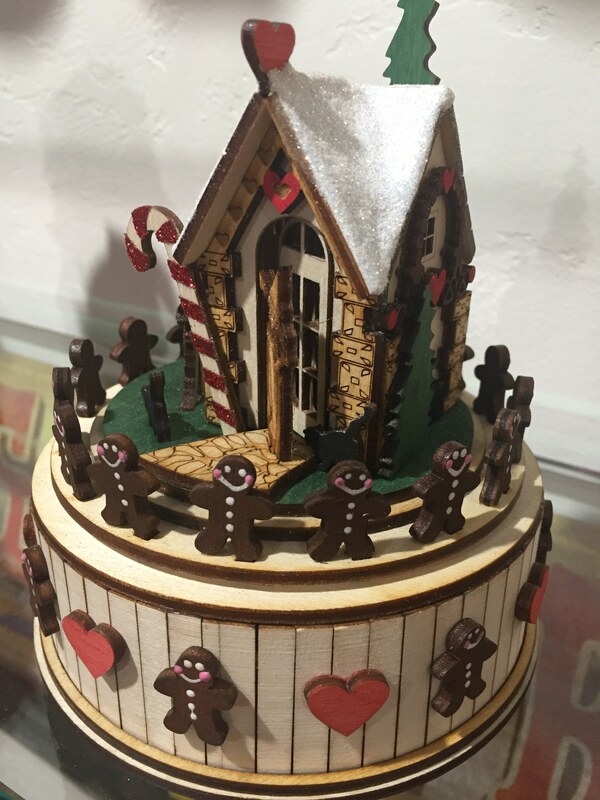 The Gingerbread home music box is available at this time. We have three in inventory and this is a special gift for anyone. It’s like a Hallmark special all wrapped up in one gift! 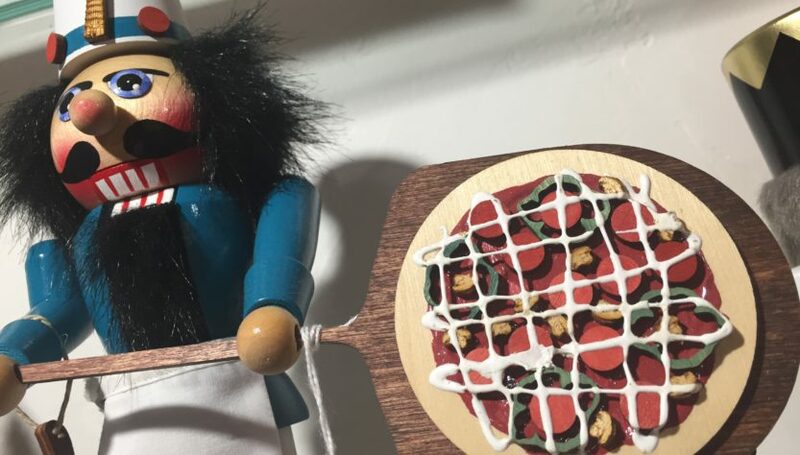 Since we are located in a ski town, it only makes sense to have ski and snowboard related items and our vendor is more than happy to handcraft these items just for us! Below you will see the Nutcrackers and a small smoker. So cute! 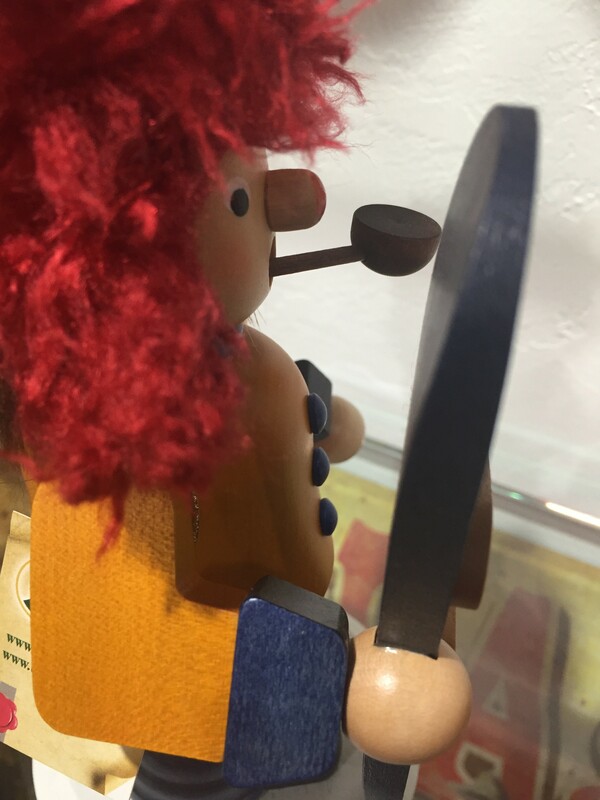 We are fond of this snowboarder smoker, handcrafted in Germany and many people believe the red mop is his hair, but really it’s a hat! Perfect either way! We have several snowboarder smokers available so call to see what is currently available. The three gentlemen you see below are a farmer, artist and a beer drinker. If you want to add a few characters to your collection, there are more than a few options. 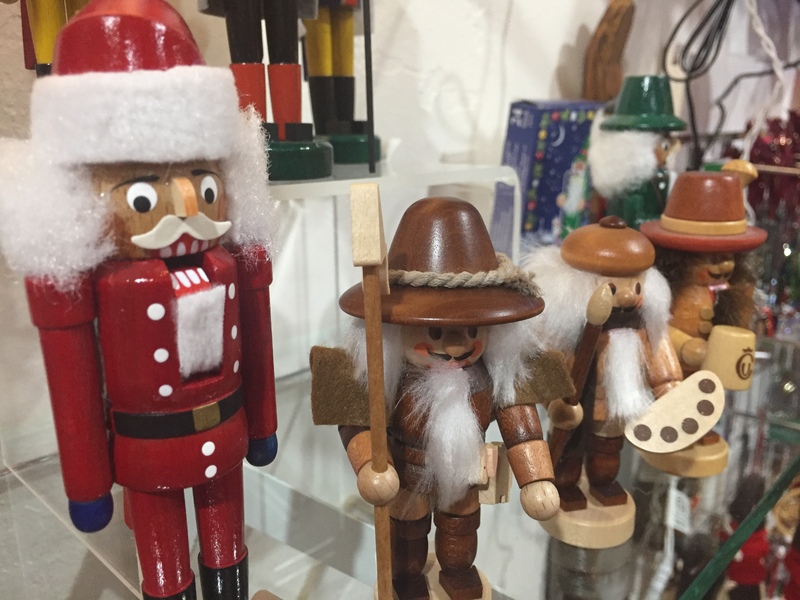 These are Nutcrackers featured in the photo, but we do have additional Nutcracker characters not shown and limited edition nutcrackers. 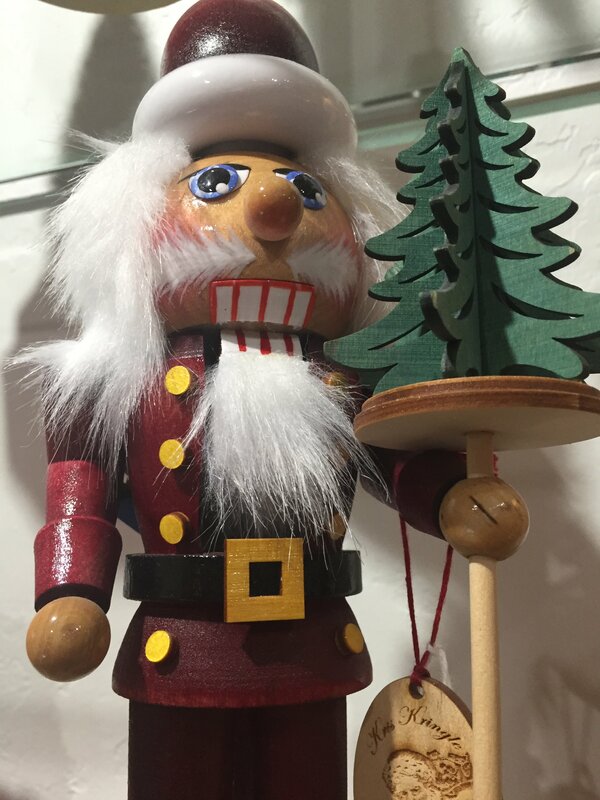 And, of course, we have the traditional Nutcrackers! This is Kris Kringle who is currently available and he comes in a variety of sizes. All of the items shown in this post are available. We do have more options but picked these selections for the website. There is no guarantee that anything pictured will still be available when you call or stop in but we will do what we can to special order! Call us anytime or if you are in Vail, Colorado please stop by!